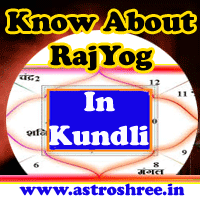 Important Tips To Buy And Sell Shares, Some Important Tips To Buy Shares, Tips To Sell Shares, Astrologer for best analysis of horoscope/kundli/birth chart. Every investor wants to sell shares at it's highest value so that to gain maximum profit but it is too risky because no body knows that when shares prices will be at its highest value. Many times it is seen that after reaching at its highest level shares prices fluctuate instantly without giving time to investors. So this is good to not wait for the highest level. Sell the shares when you find a good profit on your investment. Every investor expect some price which is good but due to temptation he takes chance after having the expected price to earn more profit which is not good always. So sell when you get your expected price. This type of habit will gives you profit for long time and also help o make you stable in this fluctuating market. This is problem with many investor that after buying shares they don't want to sell it because of some special type of attachment which is not good. Because this is possible that the share which is giving a good profit at that time will loose its position in future. So sell the shares when you find its good position and price. So that to invest in other growing company. 4. When any share price jump at once, Sell it at that time, This will be a good time to earn huge profit. 5. Don't sell any share if it's price become down at once. Wait for sometime to get it's best price. 1. Don't buy any share if it have a great jump suddenly. Because there is a very chance that it't price will go down suddenly. 2. If any company shares falls at once it is a sign to buy it. Study the company profile and invest as per your budget. 3. Keep an watch on standard companies future plan. if any company is going to launch any good plan then definitely it's share price will rise. So buy it before the price rise so that you can make profit at the time of price hike. 4. Be in touch With media i.e. news papers, Television so that to get the updates related to company. If you find any good news related with any good company or any new company and you think that the price of shares of that company will hike in future then do purchase shares at that time so that to gain profit in future. Remember that Buying and Selling shares is a game of alertness. If you are alert you will definitely able to gain profit from share market. Buying at right time and selling at right time is key to success and to gain profit from shares. If you want any type of astrology help to understand your horoscope to enter in share market then do take services of one of the best astrologer On line Astroshree Astrologer. Go Here.